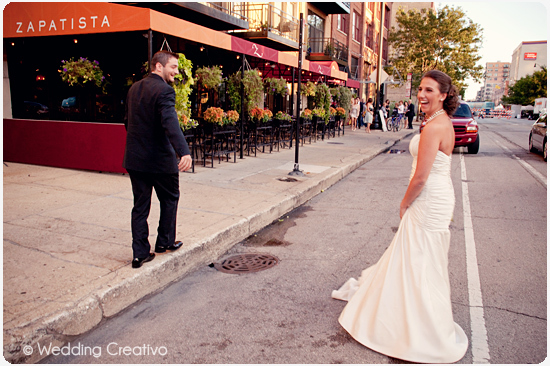 Kate and Christopher planned a wedding that perfectly balanced Italian family traditions and a love for Latin culture. 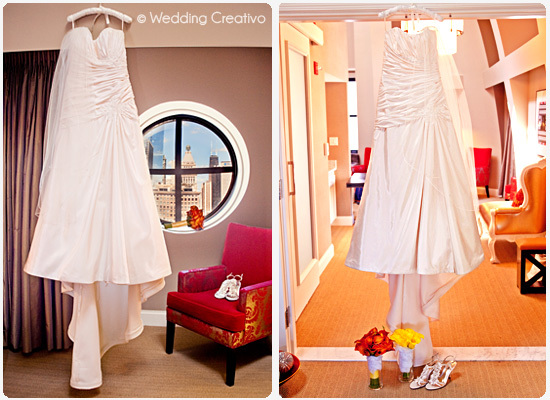 The day started with the bride and her bridesmaids getting ready in a suite at the Blackstone Hotel. This place has a great history in Chicago, going back to 1910. While the renovations made in recent years under Marriott's ownership were well done, we always thought it was cool that the Presidential Suite once had a hidden passageway behind the fireplace for secret escapes. That was turned into closet space after 2007, but we like to imagine that it is still there. 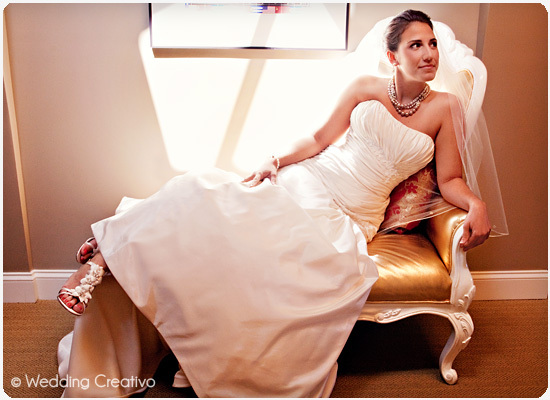 Makeup can be the one area in particular where brides can underestimate scheduling, but having reliable professionals, such as the great folks at Beauty on Call, will have everyone looking lovely and ready to head out of the door on time. 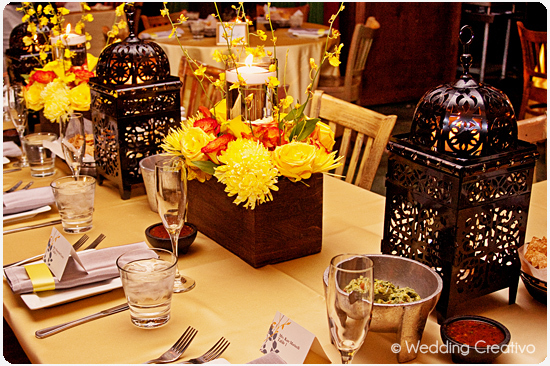 The hotel suite decor complimented Kate's choice of vibrant colors of orange and yellow. 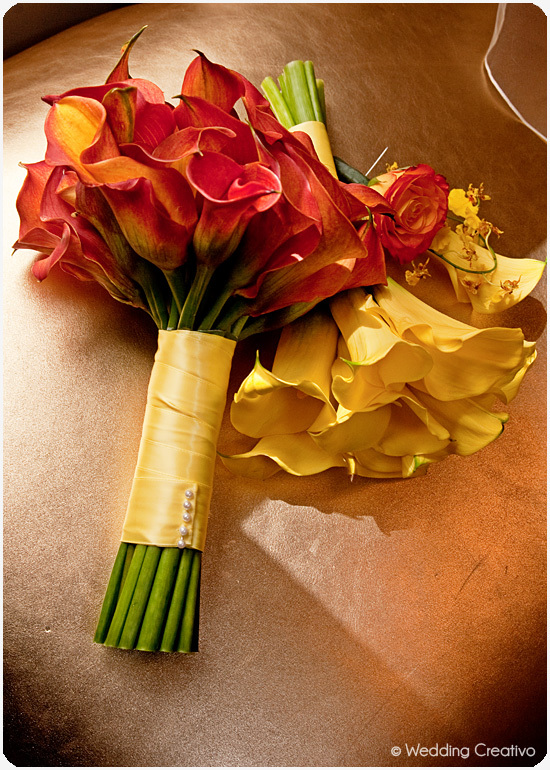 They were incorporated into her bouquets as well as floral and reception decor, which were by event designer and wedding coordinator Barbara Medina of Just Say Yes Events. 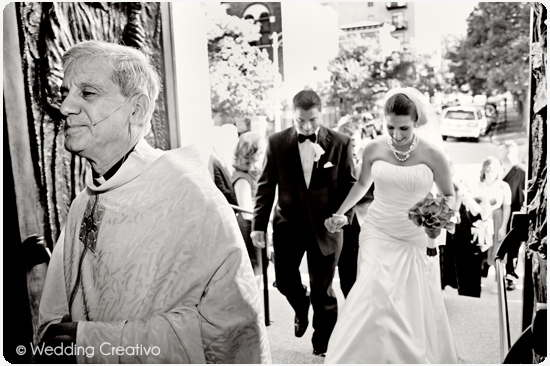 The groom wore a Devni Michaels tux and bow tie and gifted his bride with her wedding day jewlery, and also had the wedding rings made by private designer Galo Zapata. Very impressive Christopher! For the womens wedding fashions, the ever popular JCrew gowns were worn by the bridesmaids, and the bride found her perfect dress, a stunning Mikaella gown, at Wedding Bells in Barrington. Groom Christopher agreed to break with family tradition a bit, so the couple could have a spectacular "first see" moment and plenty of time to go around to a few different locations for portraits before the ceremony. 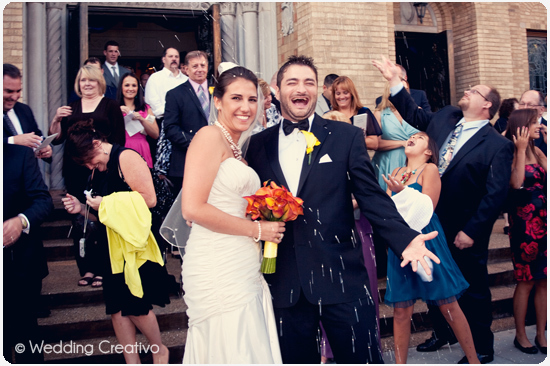 Here at Wedding Creativo Photography we suggest this as optimal for most couples who can let go of the tradition of not seeing each other until they meet at the alter. In our non-scientific observances over the past two decades, we can safely say that skipping this tradition has NOT brought bad luck to couples. 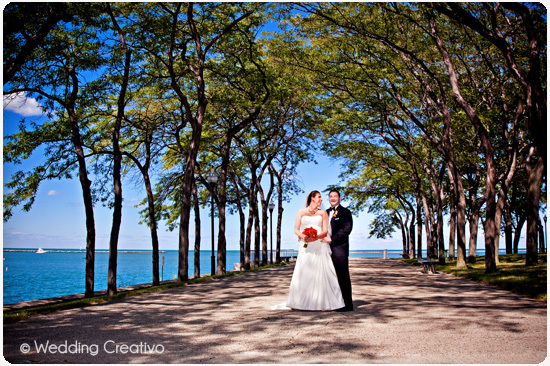 Rather, it generally makes the day feel much more relaxed and reduces stress levels when you can avoid having to squeeze in all of your portraits in between the ceremony and reception. We've mentioned this on the blog before, but think it is a point worth repeating. Kate and co. kept cool with an ice cream cone in Grant Park while waiting for family members to gather at Buckingham Fountain. That's right, there is time for ice cream when we can do portraits before the ceremony! 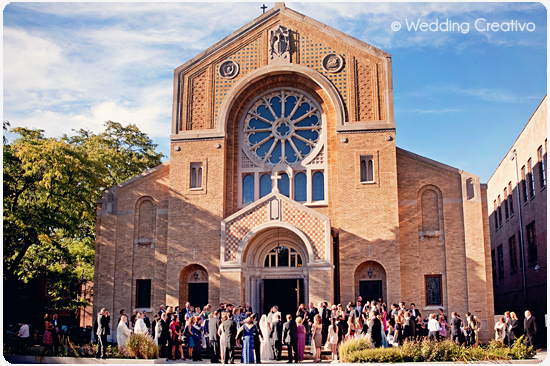 The ceremony was held at Our Lady of Pompeii Shrine, the perfect place for a traditional Italian style wedding. 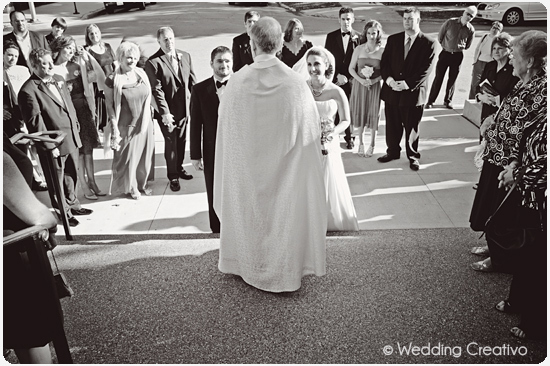 In many small towns in Italy, it is a long-held custom to begin the wedding day with the betrothed and their families walking from their respective homes, through the village, to meet together at doors of the church. 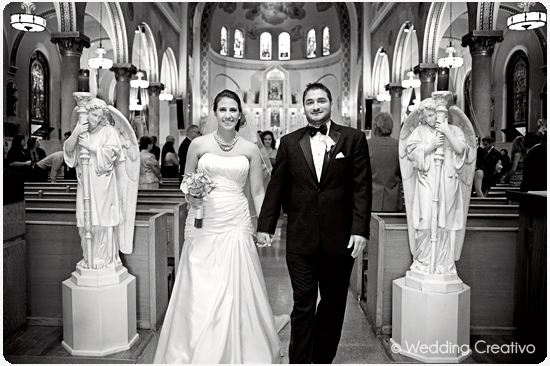 Kate and Christopher incorporated this tradition by having their families walk from opposite sides of the street and meet at the steps of the church, along with 140 family and friends who waited for their arrival on the church steps. 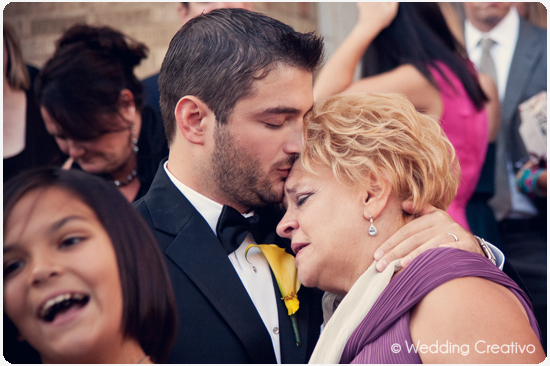 Let's just say the Italians were doing "meet-ups" for weddings long before the internet even existed. 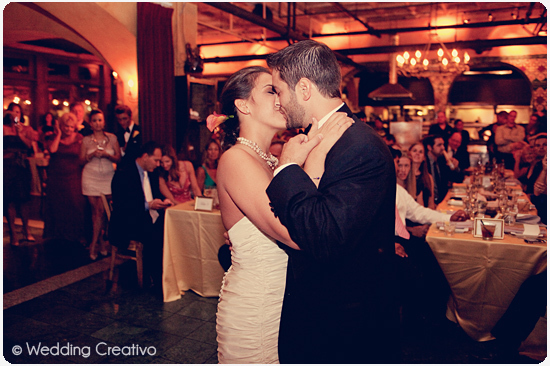 And of course, with our photography studio having an Italian-born owner, we love this tradition. 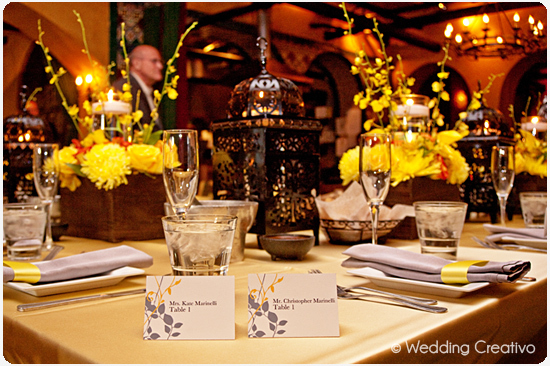 For the reception, it was a "family style" affair with rustic Mexican cuisine and atmosphere at Zapatista in Chicago's South Loop neighborhood. Kate and Christopher also shared an important cause that is close to their hearts with their family and friends by making a charitable donation in lieu of wedding favors to an orphanage in the Dominican Republic.